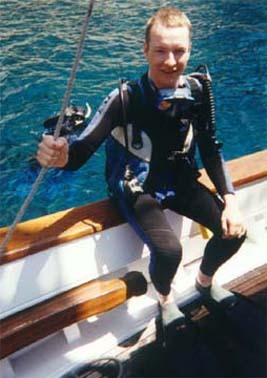 Page 1 of 2 Andy on board the diving boat in Kos. 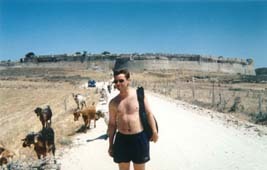 Andrew and friends on the road from Kardamena Castle in the mountains. 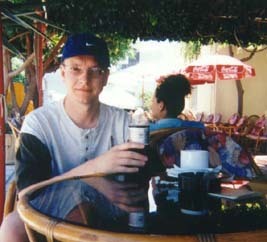 Andy has a cool drink in the morning heat of Kos town. 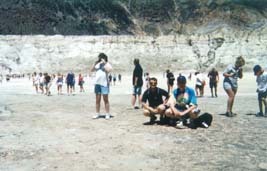 Andrew and Andy in the crater. 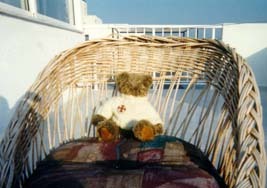 The volcanic island of Nisyros. 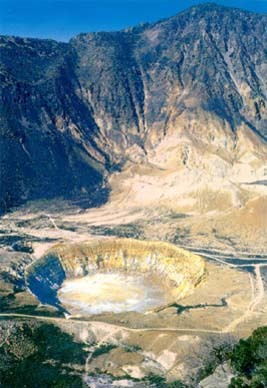 The volcano is predicted to erupt within the next 5 years. 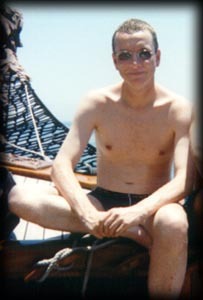 Andy sun bathing on the beach. 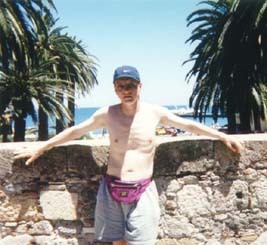 Andy in Kos town enjoying the sun. 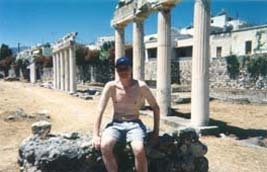 The ancient Roman ruins in Kos town. Andy just about to do a backward roll into the sea.